Taste the flavors of the Philippines with this dinner and show combo in Manila. Arrive at a typical Filipino restaurant for a multi-course dinner, which allows you to learn about the country's culinary culture through firsthand experience. 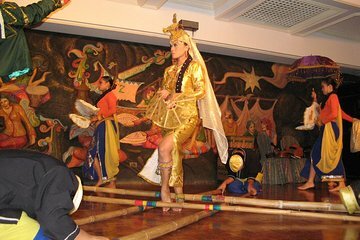 Then sit back and enjoy a cultural show that features creativity and artistry focused on Filipino culture and national identity. Round-trip transportation from your Manila hotel makes this a convenient evening out.